Cover Ups specializes in custom blinds, drapes, bedding and more. 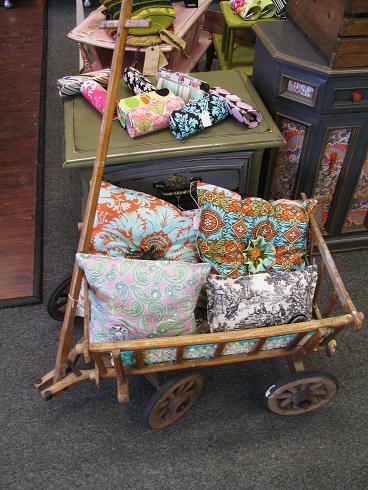 They also reupholster or “up-cycle” vintage furnishings. They have been in business for 6 years in this location, however they have been around for 17 years. Just last year they opened up the other half of their business now housing Alaska Chicks and The Upholstery Gallery. 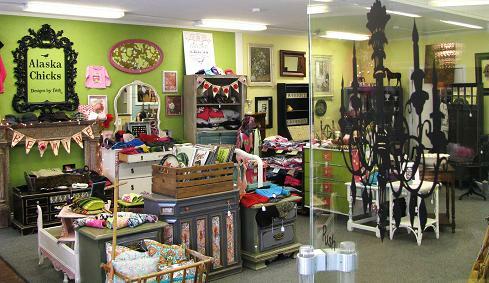 There is a trendy store front comprised of unique consignment items from local artists. 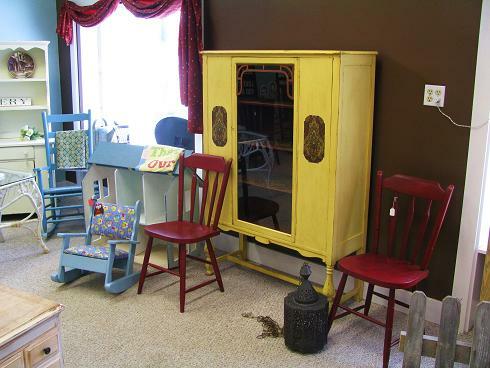 You will also find a nice selection of antique pieces and furnishings. The store is a “working” shop; while visiting, you may see a painted in progress, hear the sound of an upholstery gun or observe a consultation with a client trying to choose the perfect fabric. If you are looking for something in particular just come in and explore the possibilities because they are available for custom commissioned work. If you are in need of window coverings, give Cover Ups a call for a free, in-home consultation or stop by the retail shop to find a one of a kind piece for your home!